The basic pants pattern is one of the pillars in flat pattern drafting. There are great benefits for both home sewers and clothing designers to know how to draft. But all those numbers and steps to follow are so frustrating, right? Well, they don’t have to be. Drafting a pattern from measurements doesn’t have to be difficult and intimidating. Why do I need to learn flat pattern drafting and especially how to draft the basic pant sloper? I am not going to lie – flat pattern drafting can be boring and there is simple math involved. It is simply a process of following some monotonous steps of drafting and connecting dots. But it is necessary for any clothing designer. The reason is – it will make your designing efforts easier, not harder. And you sew only for yourself, you can craft the perfect pattern for your shape and then just modify it to get a different look. 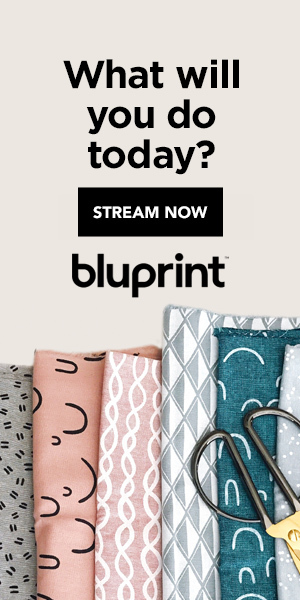 What is the basic pants/trousers flat pattern making? This is the process of building up an actual sewing pattern that fits certain body measurements. The basic pants sloper is usually used for woven fabrics and has a classic silhouette. There are ways to modify it into various styles according to your designer vision. this article is about drafting a pattern from custom measurements, not altering a pattern. There is a difference between those two terms. Altering the pattern is a subject we are going to deal with in some of the following tutorials. Ways to approach drafting the pattern. There are different approaches to drafting the pattern – some chose to build the front panel first. Then, on top of it to build up the back panel. I prefer to use a method according to which both the front and back panels of the pants pattern are drafted simultaneously. This way the pattern is much easier to modify once it is drafted. You might find another technique more appealing, so feel free to use the one that works best for you. There is no right and wrong here. Also, this is a tutorial on the basics of drafting the pattern. If you would like to get deeper into the subject and follow up with muslin adjustments and refining the fit, you might find this Patternmaking + Design: The Pants Sloper course useful. they are not accurate, it might influence the final result significantly. Measure the waist at the smallest. Or, if you prefer the pants standing lower on the hips, measure that circumference. Divide it by 4, because we are going to work with 1/4 of the pants details. Measure at the widest part of the hips. Again, divide this number by 4. You can get this measurement by sitting on a chair and holding a ruler next to your hips. Measure from the chair up to where you want those pants to stand. This is the distance between the waist and the hips you just measured. The magic formula. To draw the crotch curve, we will need to know how far we should extend it on both the front and the back pattern detail. There is a simple formula to help us with that. Or, once you’ve calculated the front crotch using the formula above, just multiply it by 3 to get the back crotch. Measure the overall length of the pants on the outer leg. Start from the waist (or a bit lower if you prefer lower rise) and measure down as long as you want the pants to be. 2. Building the pants/trousers sloper. 2.1 Outline the pants pattern. From point A to B, use a half of the hips measurement (or 2 times 1/4 hips). From B to C and from A to D, use the overall length. Divide the rectangle in half so that you get two 1/4 hip wide panels. Mark the points that cross the horizontal lines as 1 and 2. We work with a quarter hip because we are going to draft a front and a back panel. We use each of them twice to cut two fronts and two back pieces of the pants (FIGURE 1). That gives us a total of four details to work with. The next step would be to apply the hip depth. Starting from A and B, apply the hip depth and mark points E and F. Connect them with a dotted line. Mark point 3 where the new line crosses the vertical line in the middle. Again, starting from A and B down, apply the rise and mark points G and H. Connect them with a dotted line. Mark point 4 where the new line crosses the vertical line in the middle. Start from the bottom line and apply the knee level, marking points I and J. Mark point 5 where the new line crosses the vertical line in the middle. 2.2. Drafting the front panel of the pants pattern. start with measuring 1 inch (2.5 cm) down from point A to point D and mark point K.
From point K, measure an inch (2.5 cm) towards the middle and mark it as point L.
From point L, apply 1/4 waist measurement and draw a line that connects with the horizontal line of the rectangle. Mark point M.
Connect M with 3, and 3 with 4. From point G, extend the line as long as we calculated the front crotch (using the formula above) and mark as point N.
from point G, draw a ⅗ inch (1.5 cm) long line at 45-degree angle and mark point O.
connect points N and L, passing through the new point O and E to create the crotch curve. measure 1.2 inches (3 cm) from points 5 and 2 in (on both knee and hemline) and mark points P and Q.
connect N–I–D and 4–P–Q to form the leg shape. connect D and Q to finish the front panel at the hemline. The last thing we need to do here is to make the lines more natural and smooth as we are used to seeing them on patterns. Start by measuring 1 inch (2.5 cm) from B towards A and mark point R. From point R, measure another inch (2.5 cm) straight up and mark point S.
From point S, apply 1/4 waist measurement plus 1 inch (for the dart) and draw a line that connects with the horizontal line of the rectangle. Mark point T. We are going to draft the dart later. Connect T with 3, and 3 with 4.
from point H, extend the line as long as we calculated the back crotch and mark as point V.
starting at point H, draw a 1 ¾ inch long line (4.5 cm) at a 45-degree angle. from point F towards B, measure an inch (2.5 cm) and mark point U.
connect points S and V, passing through the end of the 45-degree angle line and the new point U to create the back crotch curve. extend from point J out ¾ inches (2 cm) and mark point W.
do the same from point C out and mark point X.
starting at points 5 and 2, measure 1/2 inch (1 cm) in and mark points Y and Z.
connect V–W–X and 4–Y–Z to form the leg. connect Z and X to finish the back panel at the hemline. when we drafted the back panel of the pants sloper, we left an inch (2.5 cm) for a dart. To make it, measure and mark the middle between points T and S. Apply half an inch in both directions. Draw a 2 inch (5 cm) long perpendicular line. Connect the end of that line with both sides of the dart. This will result in a dart that is 1-inch deep. now, let’s make the curves of the pattern a bit more natural. Draw a perpendicular line 1/5 inch (0.5 cm) right in the middle of lines M–3 and T–3. Redraw those lines, making a small curve that passes through the end of that 1/5 inch (0.5 cm)- long line. do the same with the inner leg lines N-I and V-W. Instead of drawing the curves out, draw them inwards to make the curves. make sure that the inner leg of the front pattern piece matches the back’s inner leg. If there is a slight difference, just move point V accordingly up or down a little and redraw the back crotch curve. These were the final steps in drafting a pants/trouser pattern. Please, have in mind that this is the very basic sloper that can be modified in various ways. To use it as a pattern, you also need to add seam and hem allowance. According to your fabric choice, you also need to add wearing ease to the sloper. You can modify the length and width of the legs, add a zipper fly and pockets, change the depth of the darts, etc. Also, you can tailor it once you’ve drafted it. You can also use it as a base for modifications, like knitted fabric pants, leggings, or harem pants pattern. Hi. Thank you for your tutorial it has really helped me gain a better understanding of drafting. Clearly I’m new to this and ran into a problem which I hope you could help me with. I drafted the front pant leg and it came out great but once I started the back I ran out of room. The one forth waist plus the inch runs into the front block. Im not sure what Im doing wrong. If you have any insight it would help so much. Not sure if you need the specs but low rise waist quartered is 12.25 and quarter hip is 12.75. Clearly the numbers are close and even without a dart I cant curve out the hip properly. Again any help would be amazing. Hi, Gina. You might make the dart a bit smaller in order to fit into the panel. But in your case, it is a very small difference and it won’t really matter. If you go over the hip width on the waist, the hip would change the natural line inappropriately. So, I would add the dart to the centre back seam instead of the outer seam. Start from point U up, without going an inch inwards. Then, follow the steps in the tutorial. I hope this helps. Thank you for the tutorial, it is easy to follow. I have the same problem with Gina, that is when I started “•	From point S, apply 1/4 waist measurement plus 1 inch (for the dart) and draw a line that connects with the horizontal line of the rectangle. Mark point T”, this line run into the front panel. My 1/4 waist line is 23.50cm. Are you saying that don’t add 2.5 cm to the 1/4 waistline when calculating point T? Where do I add t his 2.5cm? Sorry, this is first pattern so I am a bit confuse. Many thank you for your help. Add 2.5 cm to 23.5 and mark point T. Gina’s problem was that the back panel runs into the front due to a very small difference between waist and hips. If you have the same issue, try drafting the front and back separately (drawing 2 separate outlining rectangles) so that you have enough room to build up the back. I really appreciate that the measurements were given in both inches AND cm, most tutorials I have found are only given in inches (which is not the standard of my country and therefore makes it more complicated for me to use). The figures are clear and well marked and well connected to the text. 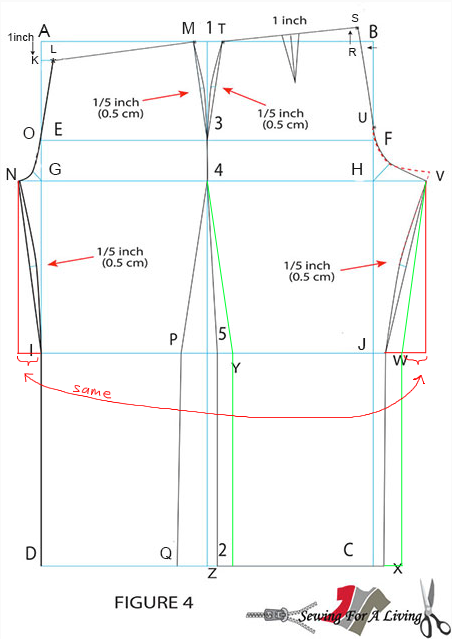 I will definitly try this tutorial to make my first sloper. However, I do not appreciate that you write about it being boring in the begining. That nearly had me turning around. This is a skill I want to learn and one which I find intersting both from a crafting perspective and from a mathematical perspective, so I wished you would stop whining and telling me how I should feel about it and just cut to the point of the tutorial. As for the whining part… My heart is in design and I find everything about it fascinating. Even math and the geometrical relations in the human figure. The words in the intro that bother you are me trying to get pass through that frustration. So, if you would excuse my writing efforts and give the tutorial a try despite it, great! This was a very nice tutorial. Glad I tried it before the bodice tutorial I found on another page, having done this made it ieasier to understand the other one too. Does this include seam allowance, or do we need to add that while cutting our fabric? Thanks! Hi Erin, this is the basic flat pattern. Everything that comes on top of it, you need to add. That would be seam and hem allowance, zipper fly, etc. I would try with some muslin fabric until I am satisfied with the fit and then move on to more expensive ones. You might also consider if the fabric stretches, how high the waist should be, etc. Hi, fab tutorial many thanks. Just one point i needed help is can i leave out the darts to have it a little roomy or will it affect the rest of the pattern? You can leave out the darts completely. It won’t affect the rest of the pattern if you are happy with the fit. Hi Beatrice, not yet but this is a great idea for a future article. Thank you for the pants pattern tutorial. M y only issue is im trying to sew the pants. In the crotch area how do i go by sewing that correctly? On the front Pants you said to use 15% of 1/4 hip measurement and 45% of 1/4 hip measurement in the back. How would I go by sewing that if the 2 crotch measurements arent the same? The seams arent matching because its 2 different measurments. 1.Sew the crotch curve on two back pieces together(make the center back seam). 2. Sew the two front pieces together at the crotch and add the zipper if there is one. 3. Make the side seams. 4. Make the center seam between the legs. The inner leg should match exactly on front and back. If there is a difference between the inner leg of the front and the inner leg of the back you would find it hard to match the details. That’s why you need to adjust the inner leg’s length while working on the pattern as shown in the last “final adjustments” step. Let me know if this helps. The largest part of me nowadays is around my belly, not a around the largest part of my buttocks ! Do I use the largest measurement as hip measurement and would that affect the hip depth ? You use the waist measurement for the waist, but instead of taking in, extend points M and T out. You might want to make the front and back sloper on separate pieces of paper so that they don’t overlap. If you use the waist measurement for the hips the pants are going to be too baggy at the hips. If the waist greatly oversizes the hips, you might want to enlarge the hips a bit as well to keep the shapes natural. When the waist is bigger than the hips, I skip the darts as well. Another thing I like to do when sewing pants for that body shape is to add elastic to the center back or sides of the waistband. This way the pants are going to stay in place when you are wearing them. If you are not sure in the results, fit the pattern with a cheap fabric first. Once you make adjustments and approve it, you can make dozens of fitting pants. I hope this helps. How do you add wearing ease to the basic sloper? wearing ease is a broad topic that might take another article by itself. Generally, for woven fabrics, the industry standard is 1″ at the waist and 3″ at the hips, which you have to divide and distribute between the 4 details of the pants. If you are working with knits, usually you need to subtract some inches which is referred to as a negative ease. On top of that, you need to add some seam allowance to the basic sloper as well. Thank-you Daniela, very helpful. Sounds like it should work to add wearing ease into the initial measurements, and then seam allowance could be added on to the pattern after. Right, I think this is the easiest way to do it. how to get hip depth measurment? This is the distance between the widest part of the hips and the waist. Hi Nina, you connect M to 3 and 4 the same way as if you had a bigger difference between hips and waist. I would suggest you cut a fitting pair first to see if some adjustments are needed and then go for your nice fabric. Very well presented, easy to follow directions! Thank you so much! I do have some questions, and have presented them in a video, about how to alter this for plus size. My hip depth is 8″, but my rise is 13″, so quite a difference. I have read about making adjustments for a tummy and drop the crotch in the back, but no clear directions like yours, so I just kinda guessed how to do those. If the 2×1” darts are not accounted for when taking the waist measurement, how can the waist measure be correct once the darts are done? Isn’t the waist going to be 2” too small? According to the directions, A – 1, and, M – O, are the same measure exactly, yet the illustration clearly shows otherwise. The very same is true for, 1 – B, and, T – S, directions specify both measure 1/4 of waist measure, but illustration indicates they are not the same length at all! Can anyone offer advice or explanation? Since darts are very customizable, you can choose to make them bigger or smaller, as well as add some to the front, make 2 instead of one or skip them all together. This depends on your body structure and preferences. I prefer to draft my basic sloper like this – with one back dart only, but again, this is up to you. A-1 and 1-B are for 1/4 hip measurements, and T-S and M-L are for 1/4 waist measurement, that’s why they don’t match. I am completely confused when I go to angle the waist. My waist is 27.5″ and my hips are 28.5″. So, I drew a rectangle with a width of 14.25″ as instructed. When I go to draw the angle at the top waist of the front panel of the pattern, there is simply *not enough room* to do so without overlapping into the other panel. Same for the back panel of the pants as well. Frustrating. In that case, you can outline the rectangles for the front and back separately instead of next to each other so that you have enough room to build up your block. This is a good tutorial. Thanks! I have a question – do we measure the knee length? or is there a formula for it What is the knee length – from the knee to the floor – sitting or standing? Hi Shereen, I like to measure standing, from waist to middle knee cap. But I think you can do it as it is most comfortable to you – sitting or standing, from the floor up or from the waist down. Just had to tell you that this is an amazing tutorial. I’ve been through dozens of videos and tutorials which explain the details of drafting a simple pants pattern…None are nearly as simple and thorough as yours are. Those I went through were either too complicated for beginners, or the geometry wasn’t explained well enough for beginners (the calculations were made for veteran dressmakers to understand), or the tutorial-maker was a foreigner so it wasn’t in clear English, or the illustrations did not match the text, and so on! Your tutorial is to the point and the illustrations match the instructions exactly. Thank you so much for sharing this with us. God bless you. Thank you for taking the time to write this nice comment! I appreciate it very much! Thanks so much for the tutorial. I have a problem that I’m hoping you can help me with. Unfortunately, I have quite a protruding tummy accompanied with very small hips. Therefore, when I attempt to join point L to M, it extends beyond the center line into the back portion of the block. How would I adjust for this? Any help you can give will be very much appreciated. Sorry for the double post. I got interrupted and didn’t realize the first one posted. Hi Jeannie! In that case, you can outline the rectangles for the front and back separately instead of next to each other so that you have enough room to build up your block. Most probably, the first block would require some additional fine tunes when fitting the pattern. So, I would go for some muslin fabric first. Hi. How come point K appears to replace point H on the back pattern? And how does J replace G on the front, M replaces J…? Thanks for pointing that out. My mistake, I’ve fixed the illustrations. I’m a bit confused with the final part where the front and back piece inner leg curves are made to match. Isn’t it impossible to make the curves match 100% as long as the horizontal distance from N->I and from V->W are different (I don’t see how moving V up fixes this)? And since the back crotch extension is 3 times of the front crotch extension, the horizontal V->W distance is always longer (at least with adult waist sizes). Is a small difference between the curves ok? The distances could be made the same if you shift the Y, W, Z and X points to the right (https://i.imgur.com/qXi4gx1.png here’s a quick figure about what I mean). In this figure, the green lines would be the modified ones, and would make the front and back inner leg crotch curves identical. Do you think this kind of tweak would work? Or would the side seam of the back piece mess up something else in the pants? In most cases, I-N and W-V would pretty much match, because point W is extended as well. You need to make the adjustment to the V point only if they don’t. The reason for that is if they don’t match, you are going to have a hard time sewing the front and back piece together later. Usually, the joining seams turn out to be ugly. If you shift the leg as shown on the image in the link, the leg seams are going to twist and pull the fabric when you wear the pants. This can be uncomfortable and doesn’t look very nice as well. It can’t be seen on the pattern or even on the fabric when cut, but it will show later when you fit the pants. What do you mean by the distance between the waist & hips measured? Do I have to take away the hips from waist mm and use that? You have to measure the length between waist and hips (see the image on the right). Thank you so much for this detailed explanation. I will draft my first pants pattern using this and then I will let you know how it turns out. Thank you for this tutorial, it is very clear and easy to follow. I have a question, I was drafting this for my toddler, do you still go down a full inch for points K and L? I did so and when I marked point M it went further than point 1, the middle of my front pattern. Thanks! Do you happen to have a men’s pants tutorial as crisp as this tutorial? or would i be able to use this same tutorial? There is no straight grain marked on this pattern nor is it mentioned????????? Is it halfway between the basic rectangle? What if I want to get rid of dart at back? You do not mention that modification. Your help will be much appreciated. Other wise, thanks very much. It’s been a long time since I drafted anything and the patterns you buy in store are hopeless now. All the patterns I buy DON’T fit. great point about the straight grain. It should be parallel to the basic rectangle. As for the back dart…It gives some shaping at the back side. In my experience, it is needed in most cases. But, I’ve removed it on a couple occasions with clients that have a really flat behind and more in the waist area. If this is your case, I would take in at the side seam and/or the center back seam if needed when fitting the pattern. In any case, this is something to be corrected when fitting the pattern. There also might be some other issues that you are going to find during the fit. That’s why I would suggest making a muslin first. I still don’t have written anything about fitting the pants pattern, but you can check my Pinterest board on Fitting Patterns. There I’ve collected a lot of pants fitting advise. Hi Daniela, I’ve been looking at a number of posts & videos about drafting basic slopers and something I’m finding is that each person has a pretty different method and quite varied results with the end pattern shape. I’m keen to know if there’s an important or stylistic reason for the different block shapes, or is it just personal preference, schools of practice or regional differences among drafters? For example your pattern has quite an inward angle to the fly (L – E) and a sloped front waistband. Many other patterns I’ve seen have a much more vertical fly, and often a horizontal front waistband. I recently traced a pattern from some trousers which much more closely resembles your pattern and I’ve been wanting to know why it’s different from most other patterns I find. I understand your confusion. I don’t pretend that I am able to give the most accurate answer here, but here is my interpretation. Let me start by saying that I haven’t been to a fashion design school. Some years ago, I used to work as a sells manager in one of the biggest apparel factories in my country. We exported to the whole world and worked for many international companies like H&M and other big European brands. In most cases, our design department would draft the patterns from scratch. The patterns were to be approved with fitting samples by the clients before we were to start manufacturing. There were 4 designers that worked there and each of them had their own approach to building up the pattern. I was taught pattern making by one of them. I followed her approach for years as I used to draft and sew only for myself and her blocks would work perfectly for my body type. The steps followed in this post, by the way, are hers. Then, my mother and I started a small clothing shop where we also offered sewing services. We started sewing for clients with various body shapes and sizes and I had to upgrade my pattern making skills. I started reading every pattern making book I could get my hands on. And I also borrowed the textbooks for the fashion design school in our city from a friend. I expected that I was going to get a clear understanding of the matter that is going to help me improve my skills. But, I kid you not, there were NO two pattern making books that would follow the same steps and math formulas! I tried different options and experimented what would work and what won’t. The steps for drafting the pants sloper I follow are the ones that proved to work fine in my practice. Of course, this doesn’t mean that it’s better, or the only right way. I know that according to other techniques, the inward angle at the fly is a big no-no and you are supposed to check for straight angles when you true the pattern. I tried it as well and it worked just fine. But again, I think I get slightly better shaping the way I explained here. As for the sloped front waistband, I like to intentionally do that on both woven and knit patterns and for the many years and clients I’ve worked with, it gives a better fit. Anyway, here is the best explanation for pattern making I found, which helped me get a deeper understanding of the matter. Pattern making is the process of turning a 3D model (the human body) into a 2D drawing (the pattern). There could be a different approach and formulas to do that and as we see different final results. I suggest you try a couple of different options and see what works for you and which you like best. Well, these are my two cents and I hope it helps! wow thanks so much for the detailed answer! And it’s very interesting to understand your background and how you arrived at this. I think at first I was a bit worried by not understanding why approaches were so different, but I think now I actually find it comforting to know there’s no single right way. I will definitely continue experimenting, thanks again!